Many of you reconnected with friends this past weekend at our annual Alumni Weekend. We were happy to see you walk the halls of SLA again. The class with the largest turnout was the honor class of 1978, celebrating their 40th reunion. A couple of members of the class of 1988 proudly showed up with their letter jackets. The classes that typically have the best attendance returning for Alumni Weekend are those that have an active class representative who contacts each former student from their class. If you'd like to be a class representative, please contact Shauna Neidigh at development@mysla.org or (978) 368-8544, ext. 108. According to the bylaws of the Alumni Association, it's time to elect officers. Most of our current officers are stepping down from their roles. We are looking for a President, Vice President, Secretary, Treasurer and Webmaster for a one-year term. The officers plan the Alumni Weekend, any communication to the alumni and other events at their discretion. If you are interested in giving back to your alma mater in one of these capacities, please contact Shauna Neidigh at development@mysla.org or (978) 368-8544, ext. 108. Plan now to attend next year's Alumni Weekend on Oct. 11-13, 2019. We will be honoring the classes of 1944, 1949, 1954, 1959, 1964, 1969, 1974, 1979, 1984, 1989, 1994, 1999, 2004, 2009, 2004, 2014. Attention all SLA alumni, you are invited to Alumni Weekend, Oct. 5-7. We want to especially encourage those from the honor classes to attend, those classes from years that end in an 8 or a 3. Come and reminisce with classmates while enjoying the fall colors in New England. 5:30 p.m. Vespers at the Village Church with the class of 1973. 9 a.m. to noon, Estate planning appointments with Tom Murray, Director of Planned Giving and Trust Services at Southern New England Conference. Contact Tom Murray at (978) 365-4551, ext. 615 or plannedgiving@sneconline.org to set up an appointment. Purchase your meal tickets for the Sabbath lunch and/or supper at slaalumni.org before Sept. 17. We look forward to seeing you at SLA soon! We enjoyed visiting with former students, classmates and staff at our recent Alumni Weekend. Pictured above are members of the class of 1992, commemorating their 25th reunion at Alumni Weekend, Oct. 6-8, 2017. 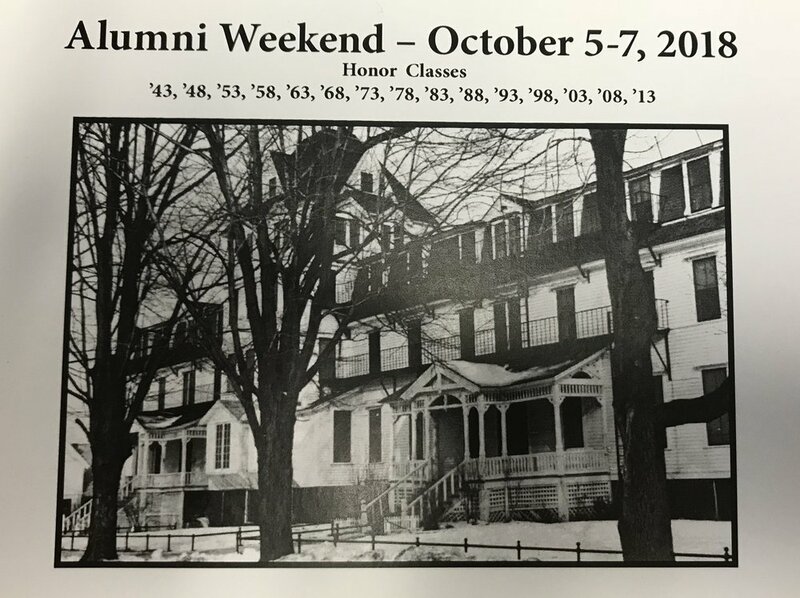 Plan now to celebrate with us the 135th anniversary of South Lancaster Academy at our next Alumni Weekend, Oct. 5-7, 2018. Invite your friends. Bring your family. We want to see you! Class of 1992 celebrating their 25th reunion at Alumni Weekend, 2017.